Kick off the Spanish wine week discovering the trendiest Spanish wines on the scene with a night in Balfes on Monday 8th April! There are many wines which we should be grateful to Spain for and Balfes Bar is delighted to invite you all to discover one more…Sherry! From New York to London these fascinating fortified wines are taking over the spotlight as they are rediscovered for their exceptionally dry and complex taste, perfectly balancing sweetness and acidity. 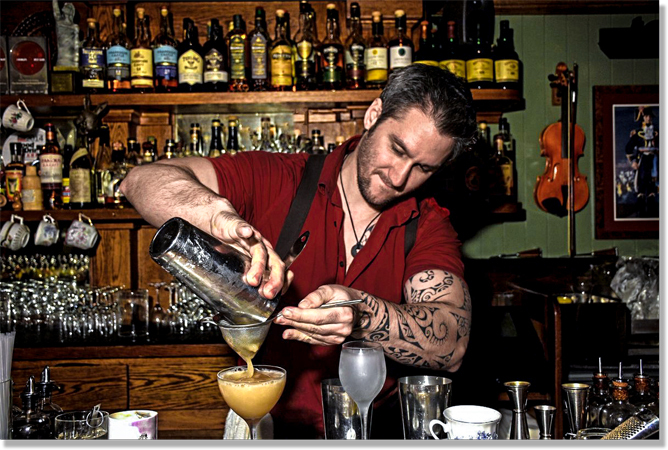 Flown to Dublin from The Dead Rabbit NYC – previously awarded World’s Best Bar - for this one-night event, sherry-fanatic Gregory Buda will share his vast knowledge and vibrant passion about sherries, and maybe a bit of the famous Dead Rabbit’s “mayhem”! During the evening guests will sample four different sherries and two cocktails that use this great ingredient to add a layer of complexity paired with tapas style sharing plates. Time to jump on the sherry bandwagon and discover which of the many styles of sherry is the one for you!